This could provide up to $148m of $500m initial capex required to develop a 4m oz deposit with SLW securing 10% of gold production at ~$400/oz. Silver Wheaton are one of the largest stocks in the precious metals space and respected for their mining contacts and knowledge. Financing has a number of conditions including feasibility study to SLW's satisfaction. SLW can be expected to be highly selective but deals made now could offer them and the stocks involved enormous upside in any resumed gold bull. 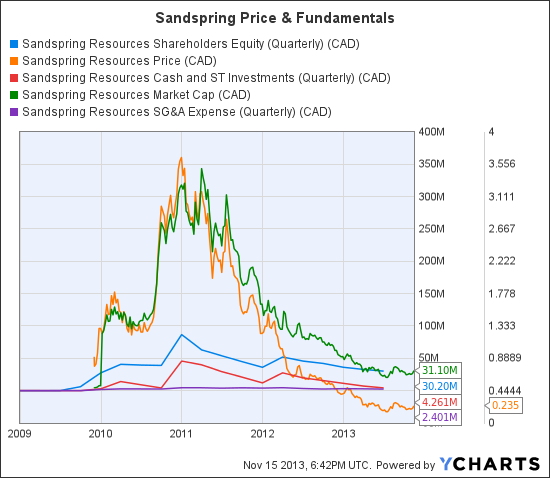 Clearly Sandspring has suffered greatly during the downturn along with other large low grade deposits, as the market doubts that progress can be made in a high cost falling gold price environment and that any progress will come with enormous dilution. The peak at the end of 2010 as profits were booked to the new 2011 tax year looks exactly right for the sector, some big insider sales around that time. At November-13 SSP is trading around book value. 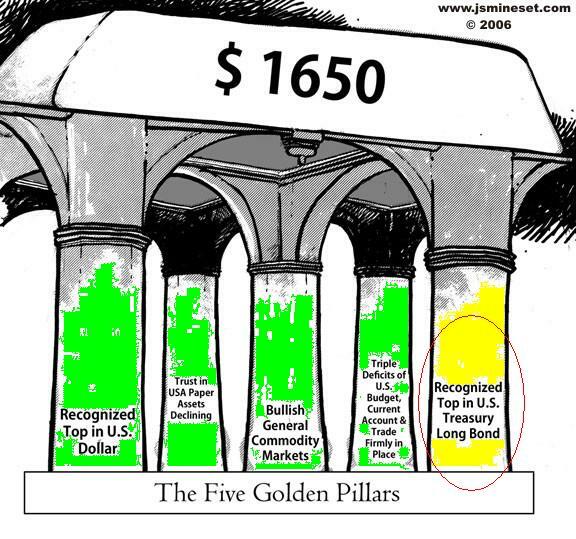 However the leverage of these stocks is enormous if the market can be convinced that $1600 gold is more likely than $1000.